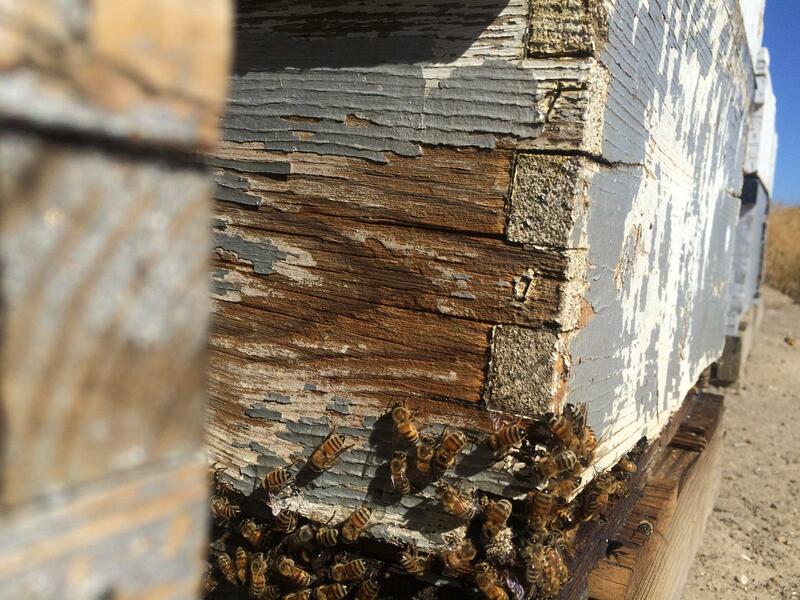 Because of the drought there isn't enough forage for bees in California. 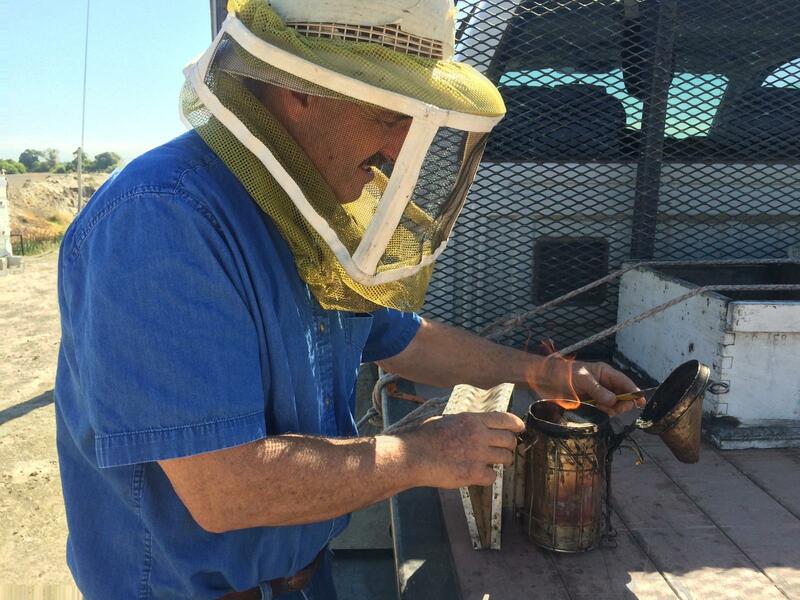 Gene Brandi uses smoke to calm the bees he works with. Brandi’s worked with bees since the early 70's. In this field alone he has about 140 hives with around 30,000 bees in each white box. All together he has over 2,000 hives. It’s in this dry time that Brandi says honeybees and their beekeepers are suffering. The extreme weather conditions have reduced the amount of forage, crops and wildflowers where the bees collect pollen and nectar. Usually in the Valley there are crops and some sort of wildflowers blooming year round. But this year there’s just not enough plants and trees in bloom for the 500 plus commercial beekeepers in the state to remain profitable. Although with this particular colony of bees Brandi’s been lucky. Bees are an important part of life in Central California, but mainly for pollination. He’s strategically placed his honeybees in somewhat of a desert oasis. A well is pumping water into a canal with blooming thistle on the banks. Beyond the canal is blooming alfalfa and cotton fields, but desolate fallow farmland surrounds this area. Because of the lack of natural food for the honeybees, many beekeepers have to feed their colonies pollen substitutes like patties made from pollen and essential oils. They also are providing a honey substitute like high fructose corn syrup to feed the bees. Gene Brandi has over 2000 hives across California. “Our bees are basically livestock that we need to keep fed, disease free and pest free as possible and so if there’s not adequate feed we need to supply it otherwise they’re not going to make it, they’re going to die," says Brandi. The quality of these meal substitutes isn’t as good as the real deal. It’s kind of like fresh versus frozen vegetables. And they are expensive. Beekeepers are also supplying bees with water. The expense in providing food and drink to the bees is causing beekeepers to send their hives to Midwestern states like Oklahoma. Tim Tucker's a beekeeper in Kansas and the President of the American Beekeeping Federation. 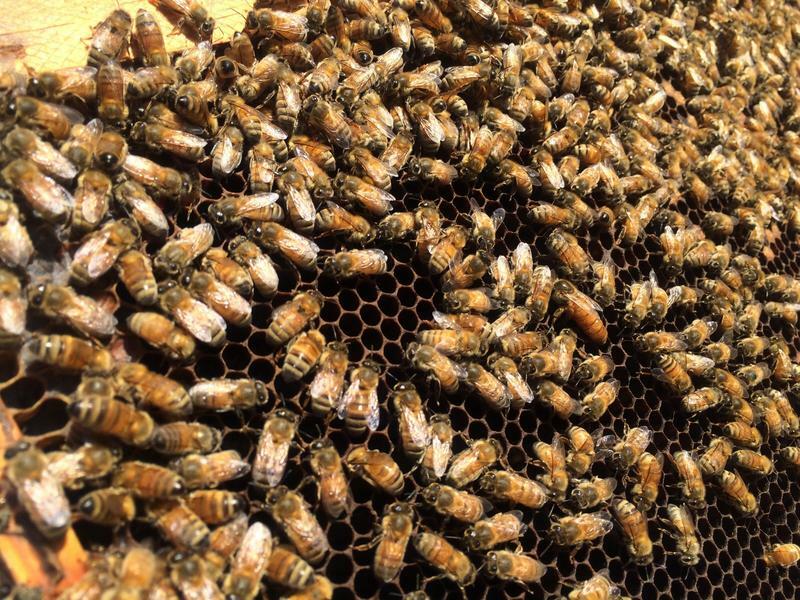 Even though the drought is affecting honeybees on the west coast Tucker says that honey production nationwide hasn’t seen a large decrease because of it. “In the past you’ve had some good orange blossom and sage come out of California. 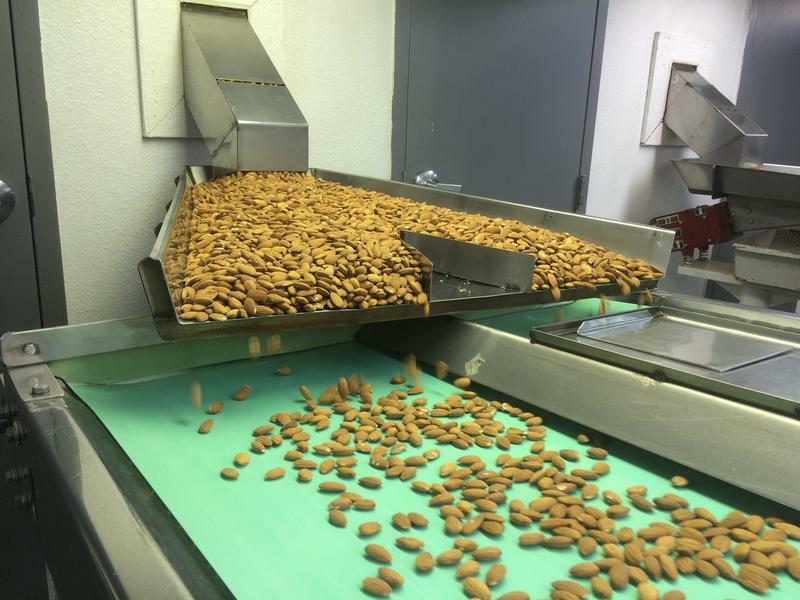 But there’s just not a lot of good honey producing areas in the Valley," says Tucker. "I mean California’s a desert; the crops there don’t provide abundant resources for the bees." 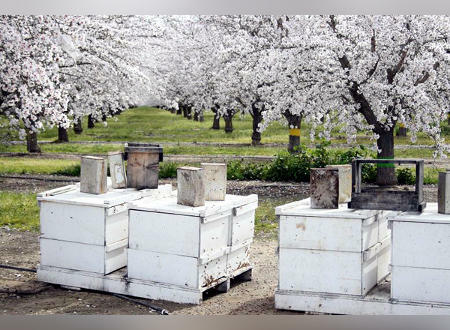 But bees play an integral role all year around in the Valley as the region’s 400 plus crops bloom in different seasons; especially when the regions 1 million plus acres of almonds flower in the spring. Gene Brandi has been in the bee industry since the 70's. In the past 10 years he said it's been a tough time to be a beekeeper. Ryan Jacobsen is the CEO of the Fresno County Farm Bureau. Jacobsen also notes that this drought is really the second punch to the beekeeping industry in the past 10 years. Some reports say that the unexplained colony collapse disorder has killed around 40 percent of the honeybees in the west. 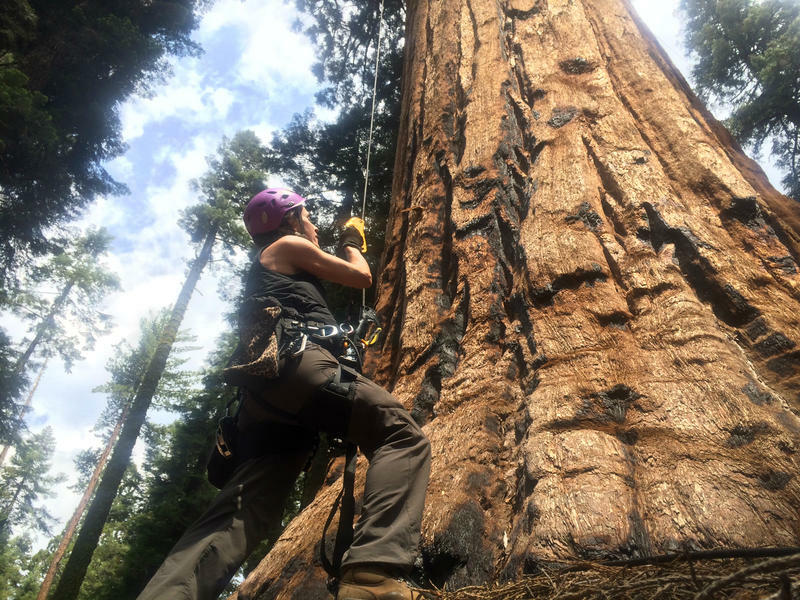 That expense of moving bees and risk of weakening colonies is why beekeepers like Brandi have taken the risk of not sending their bees elsewhere. ROMERO: "So these bees are lucky?" 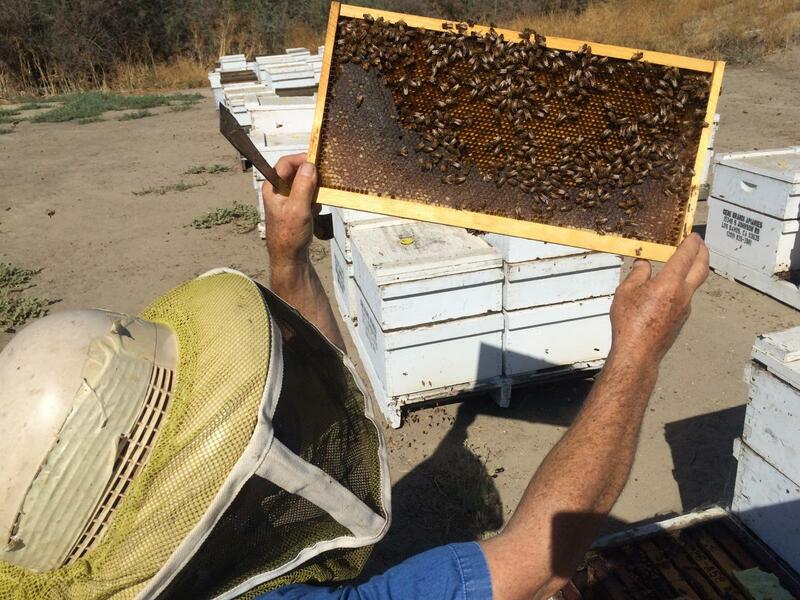 And just like every other farmer in the region, Brandi and his beekeeping counterparts say rain is the only true answer in reviving the California beekeeping industry. A crime that’s caught the Fresno County Sheriff’s attention recently has little do with gangs or weapons, it has do with something that flies. 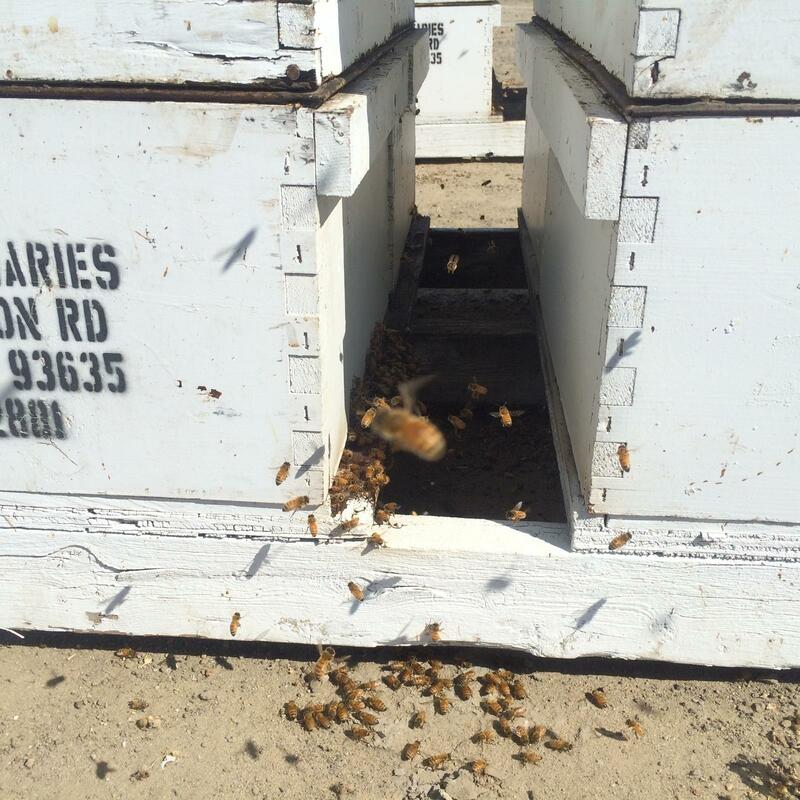 Last week, thieves stole $32,000 worth of bees and their hives from a ranch near Coalinga and $20,000 worth near Firebaugh, according to Fresno County Sheriff Spokesman Tony Botti. He says every year thieves target and steal hives across the region. Despite the ramifications of this four year drought Fresno County announced today/Monday that its farming value for 2014 increased over nine percent. FM89’s Ezra David Romero reports. The lack of rain and snow has made it a tough few years on farmers, but according to the Fresno County Department of Agriculture 2014 Crop and Livestock Report the county’s gross value has increased from around $6.5 billion to just over $7 billion. Although, the increase doesn’t necessarily mean farmers are making more money. Ryan Jacobsen is the Fresno County Farm Bureau CEO.